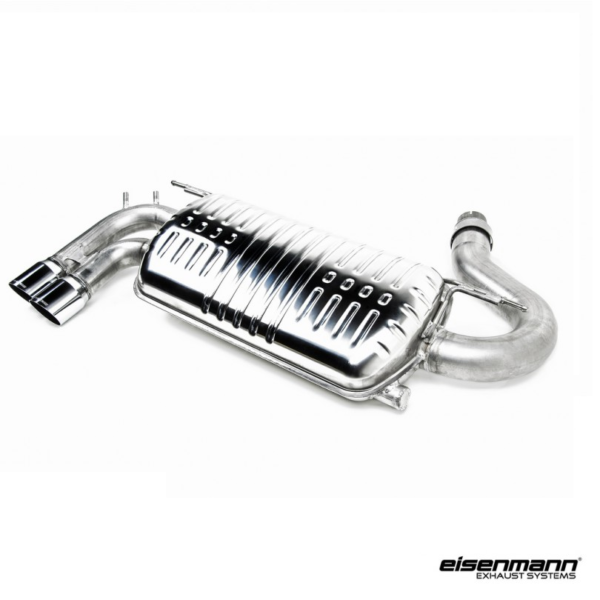 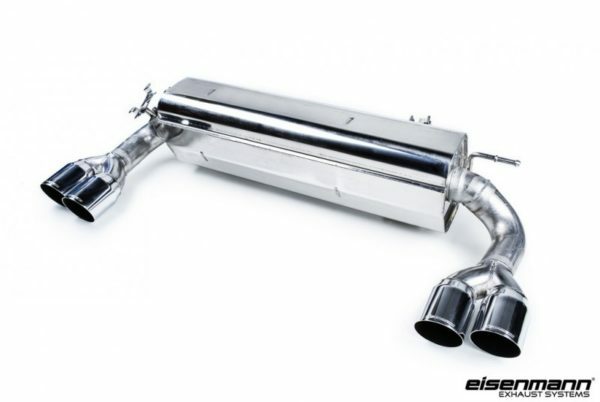 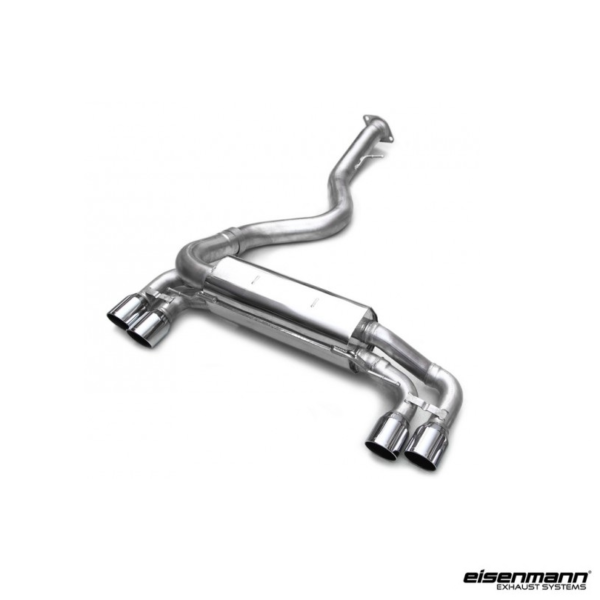 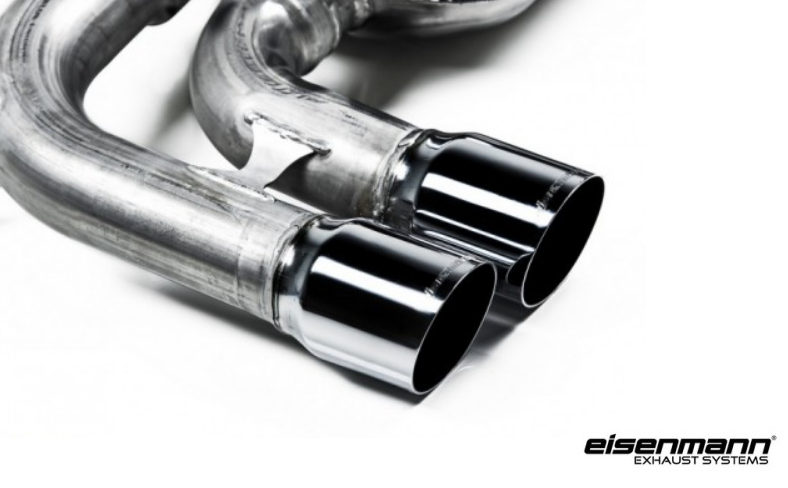 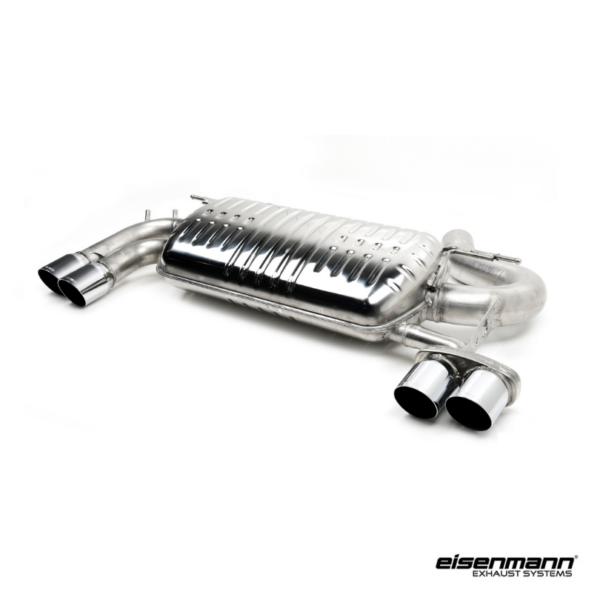 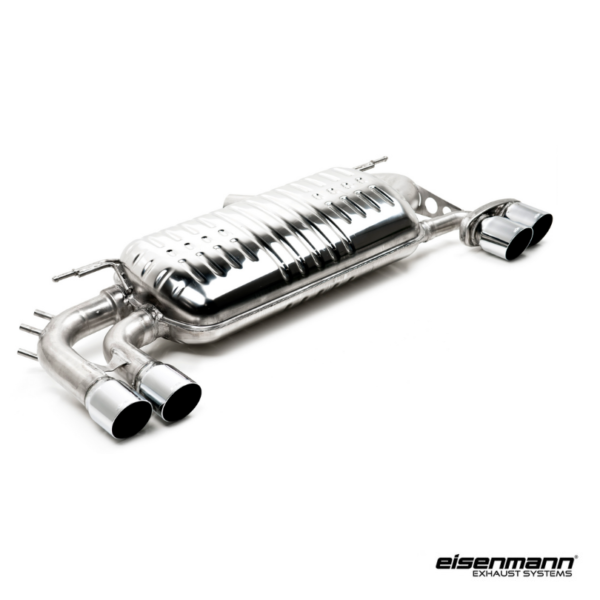 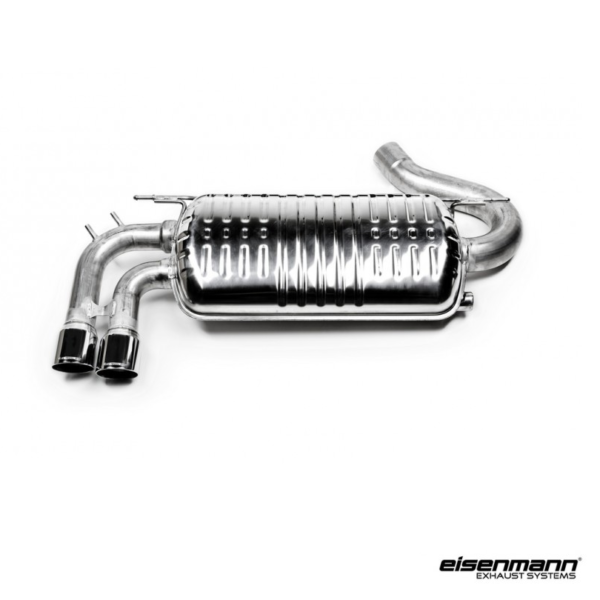 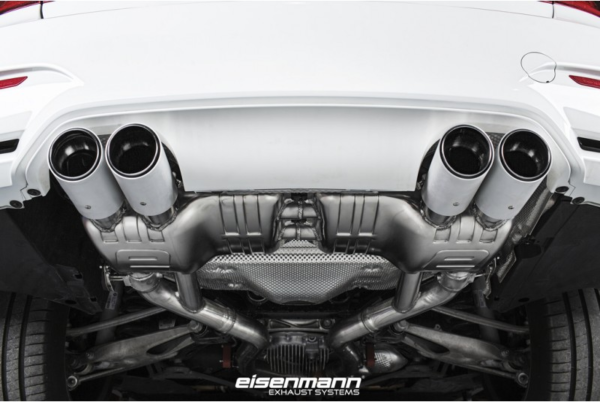 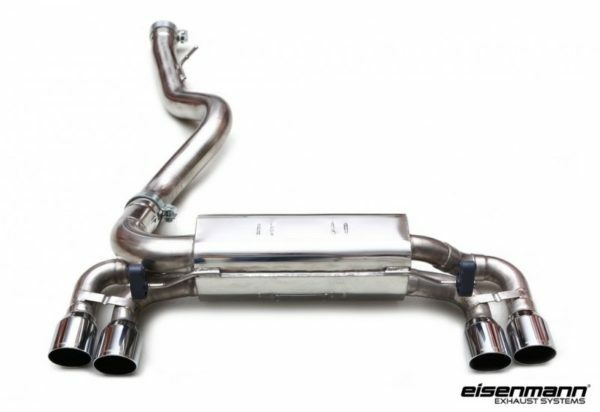 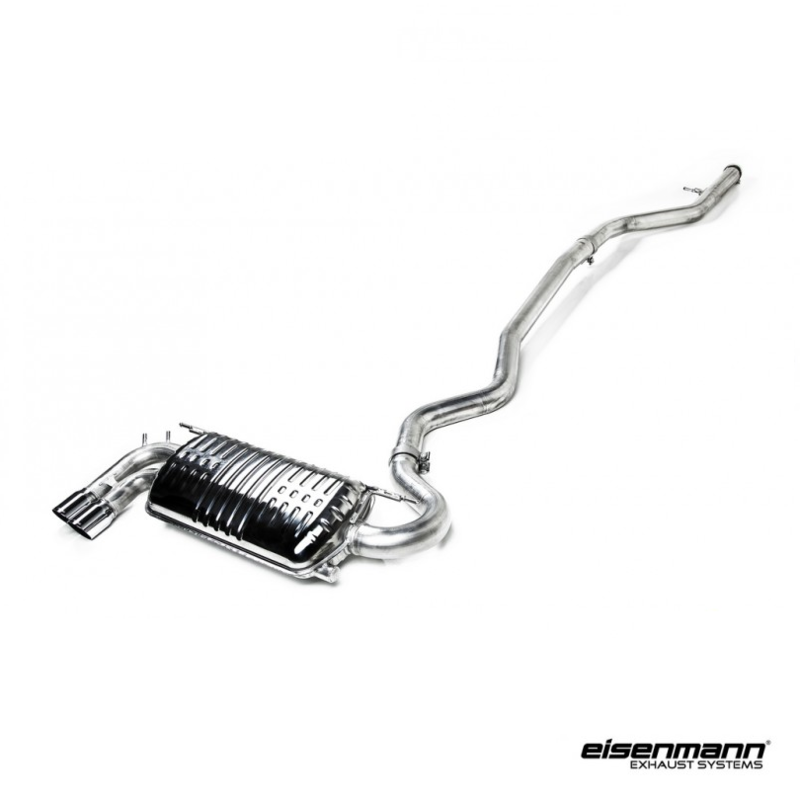 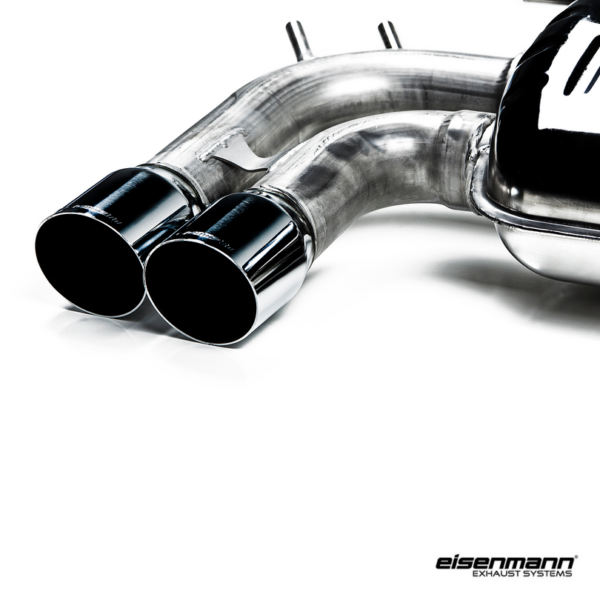 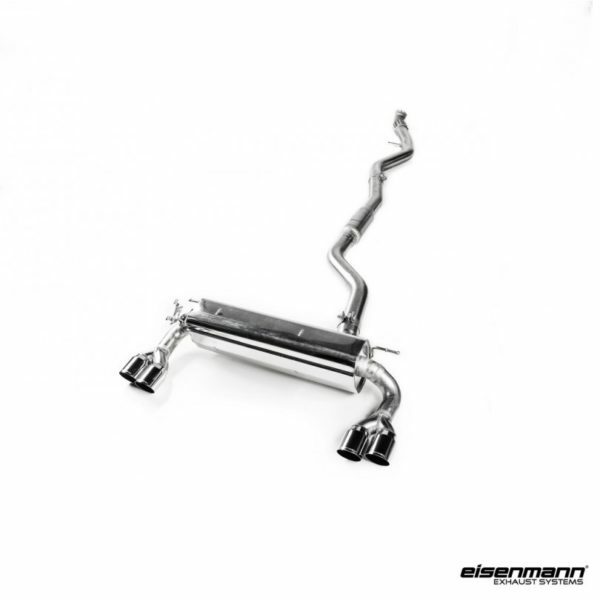 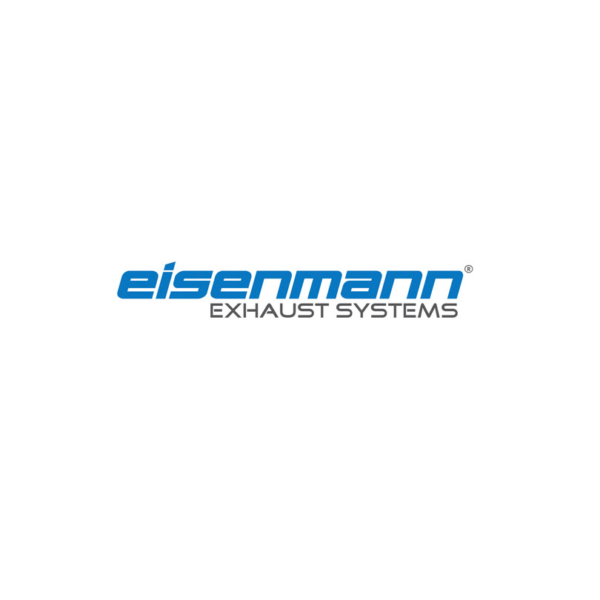 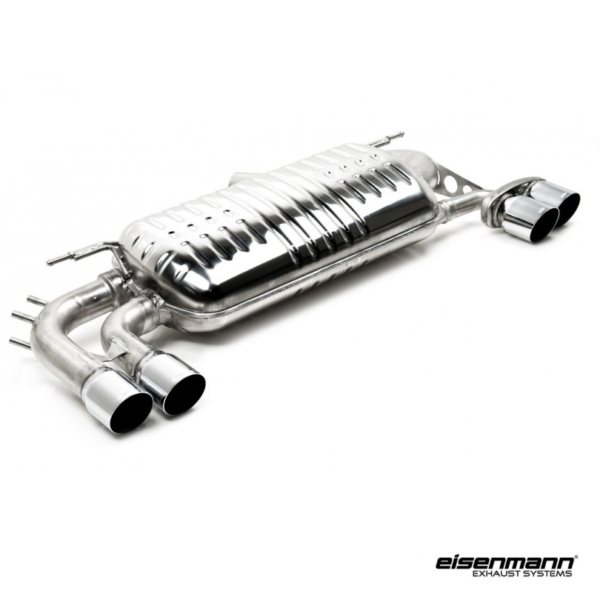 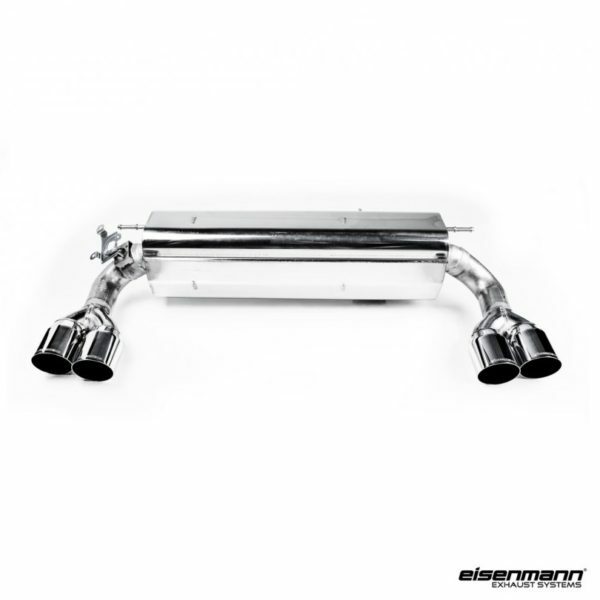 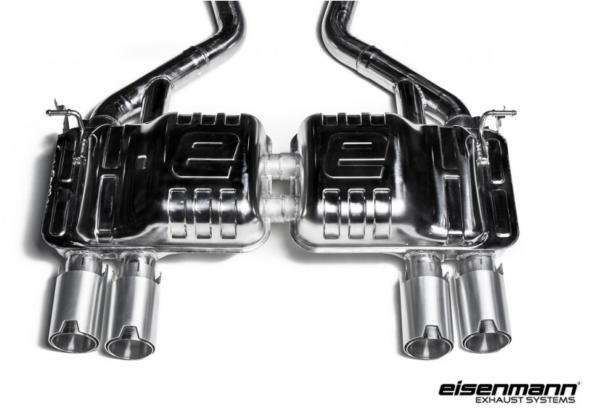 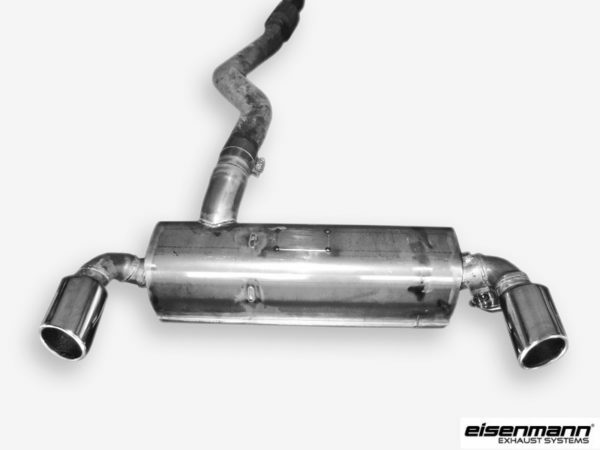 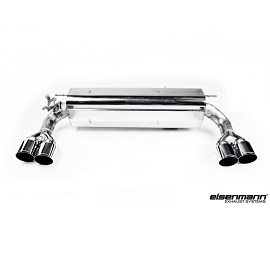 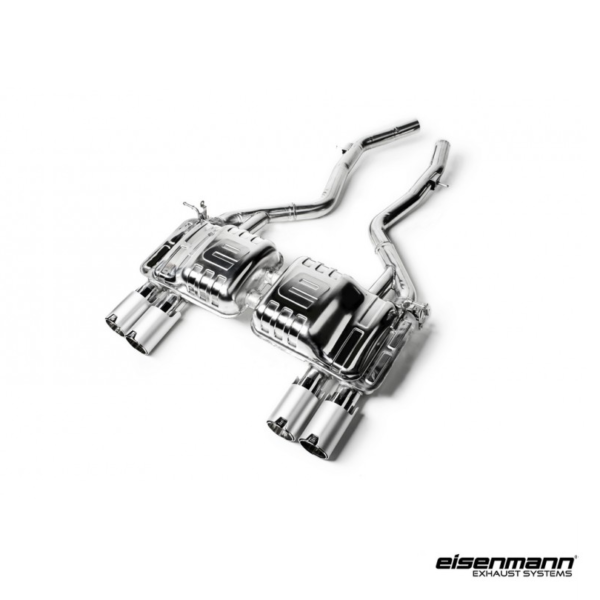 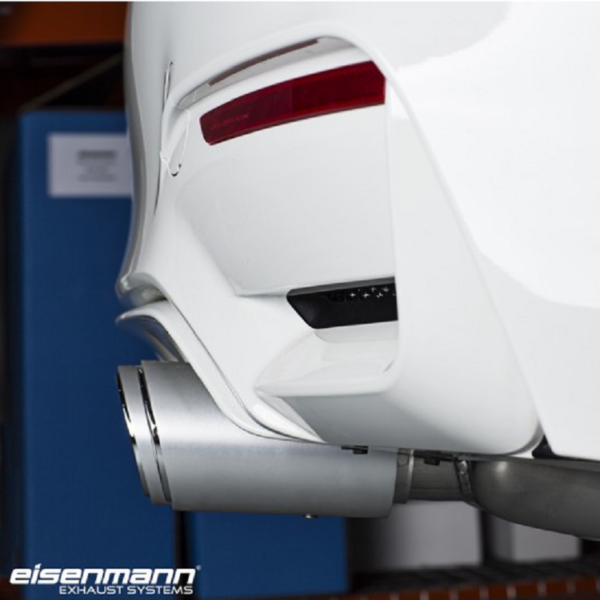 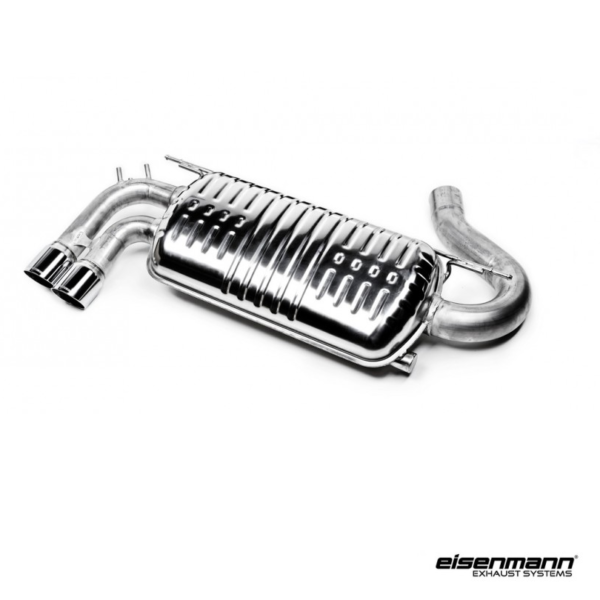 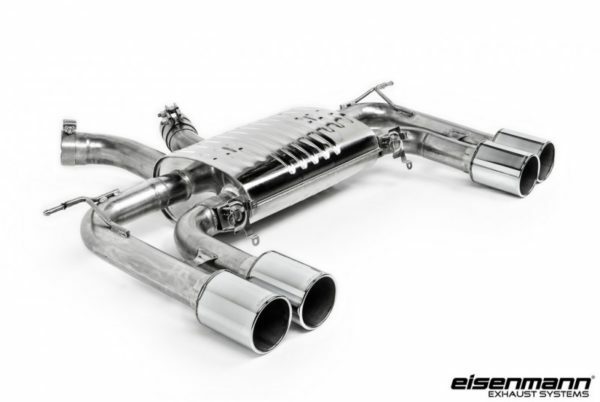 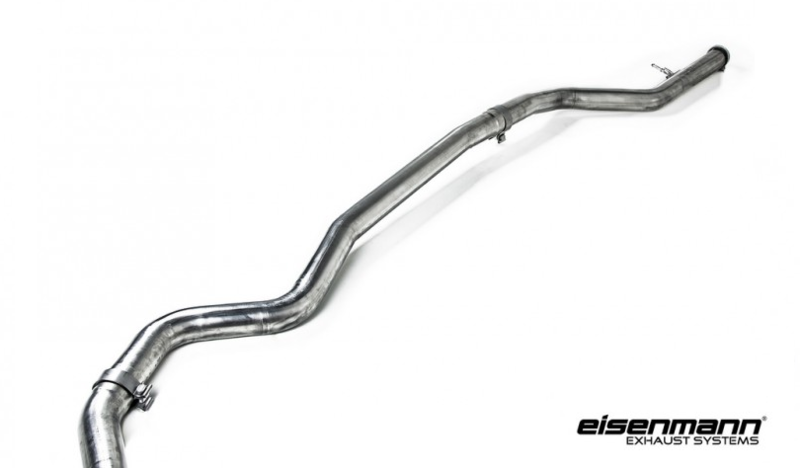 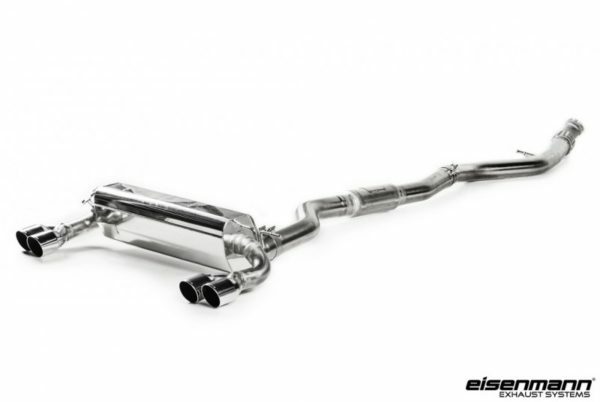 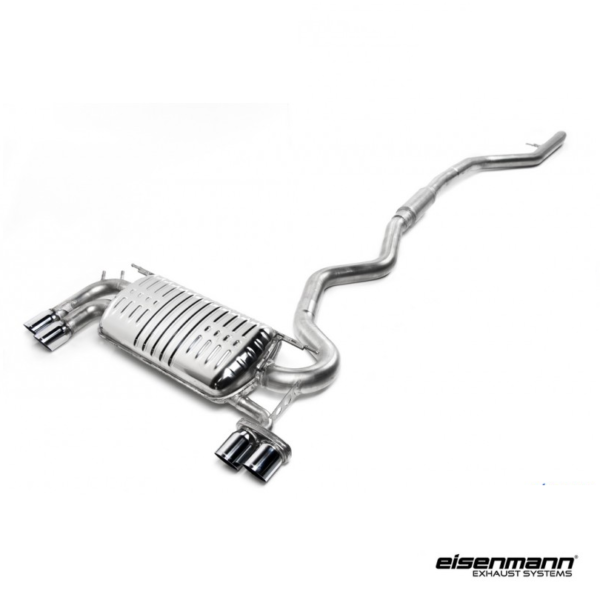 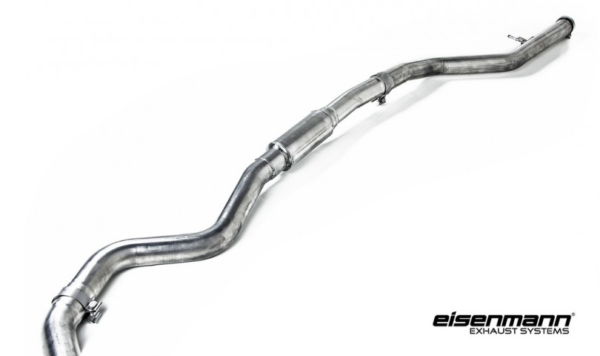 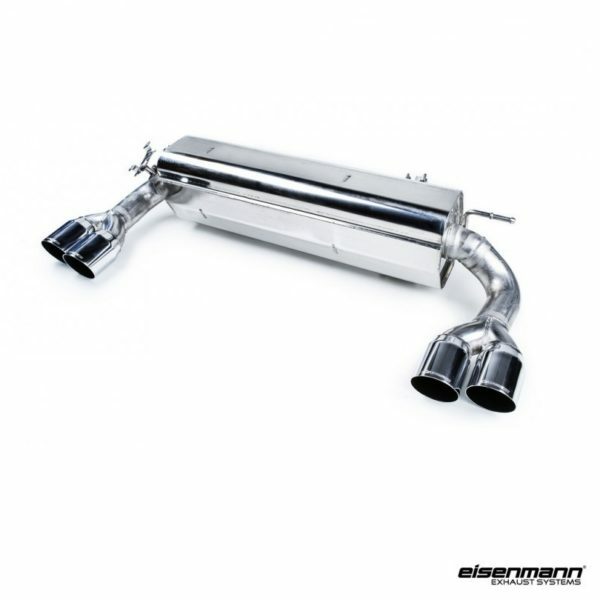 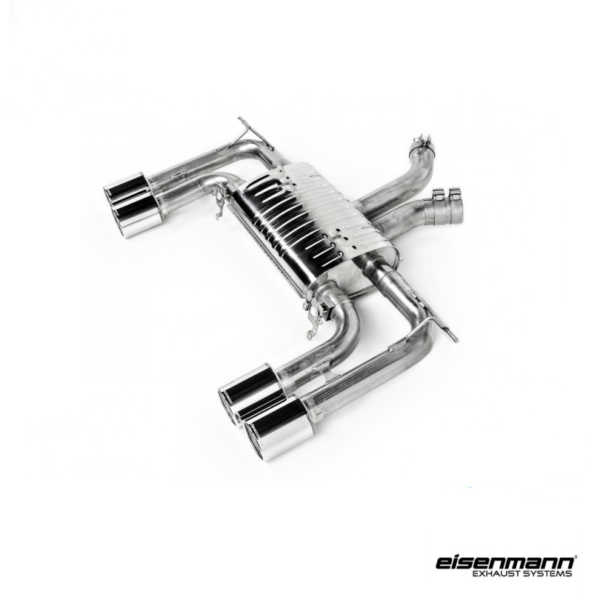 The Eisenmann BMW F34 328i Exhaust System – Full System – consists of either 2x76mm or 4x76mm tips with resonated or non-resonated mid-pipes featuring Eisenmann’s trademark tone for a deep sound at low RPM, and a true performance car scream at high RPM. 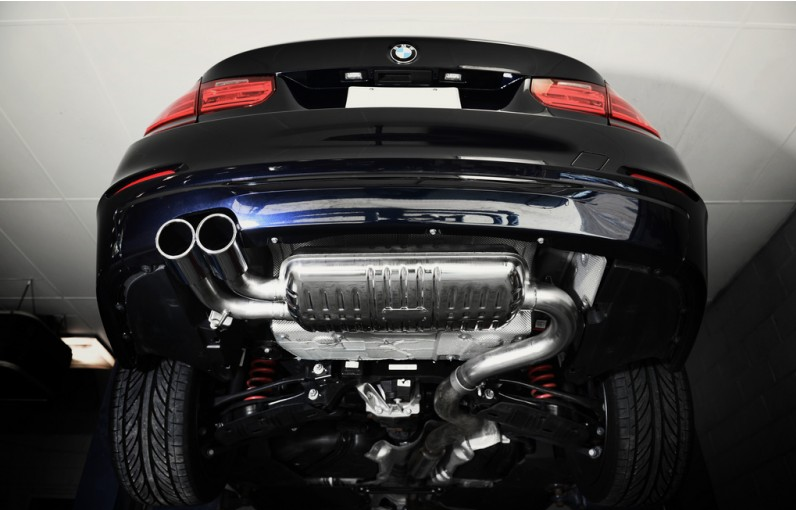 Rear Muffler with Valvetronic-System and Intermediate Mid-Pipes. 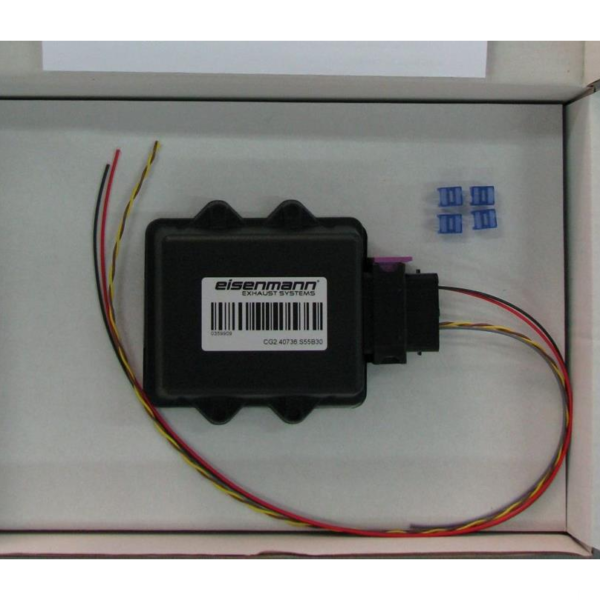 Note: Rear bumper modification required during installation for 4x76mm version. 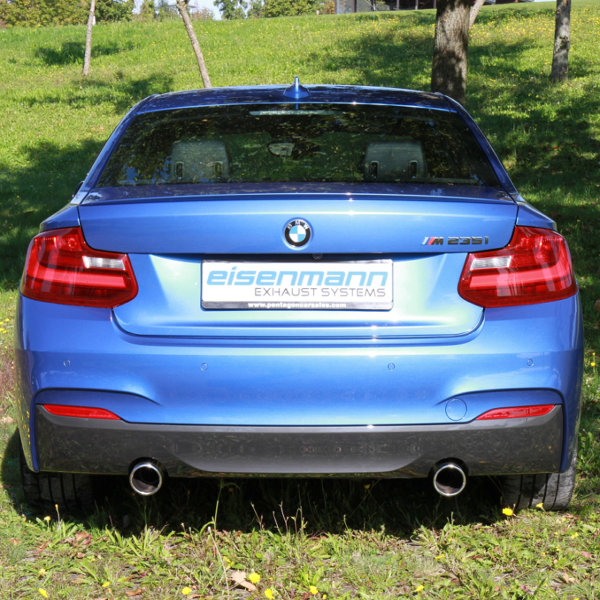 Categories: BMW, 3 Series, F34 Gran Turismo.